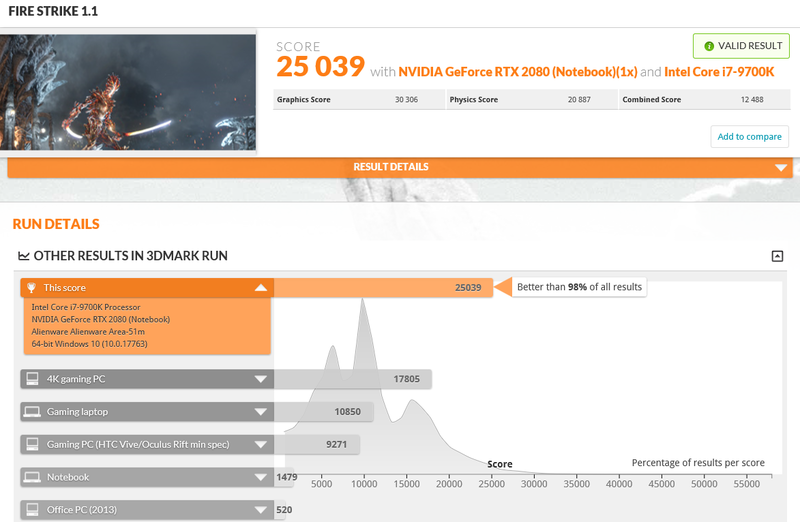 An Alienware Area-51m laptop with an Nvidia GeForce RTX 2080 GPU and an Intel Core i7-9700K processor has recorded a very impressive score of 25,039 in 3DMark’s Fire Strike 1.1 test. According to the chart details for the run, this puts this particular system ahead of 98% of all other results. The Graphics score was 30,306. Alienware/Dell Community Product Specialist Umar Khan has taken to Twitter to post about a high-scoring Alienware notebook. A user called “Rocktaze” shared his 3DMark Fire Strike 1.1 results, and there’s no doubt the scores achieved are notable. The validated result shows a score of 25,039 with a Graphics score of 30,306 and a Physics score of 20,887. The system used to hit this remarkable score was an Alienware Area-51m laptop that had been configured with a high-end GeForce RTX 2080 GPU and a desktop CPU from the Coffee Lake series: the Core i7-9700K (the Alienware Area-51m can even be configured with an i9-9900K). The laptop also had 32 GB RAM and a 500 GB NVMe Samsung 970 SSD. Unsurprisingly, both the CPU and GPU were overclocked: The former was recorded hitting a peak clock of 5.191 GHz. To help put this incredible score into perspective, we recorded a Schenker XMG Ultra 15 with the same processor and graphics card but with 16 GB RAM scoring a respectable 20,738. We also recently tested a loaded Eurocom Sky X7C that came with an RTX 2080 too, but this powerful notebook had an i9-9900K and 64 GB RAM. 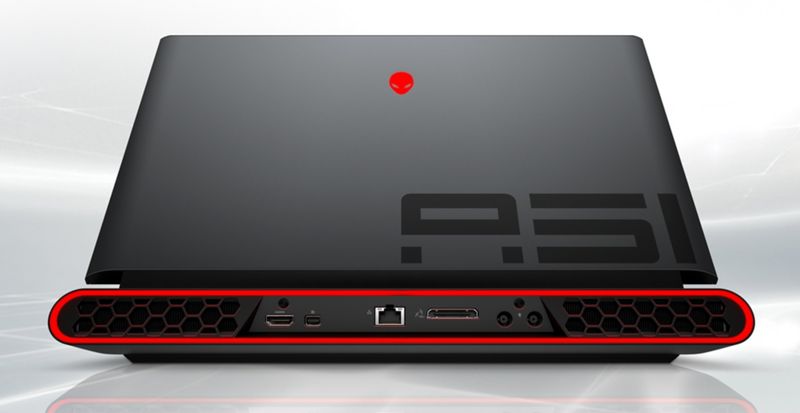 The Sky X7C managed a very high Fire Strike score of 22,398 (Graphics score 25,440), but it was still lower than what the Alienware Area-51m laptop in this case scored, which had clearly been tweaked to perfection.